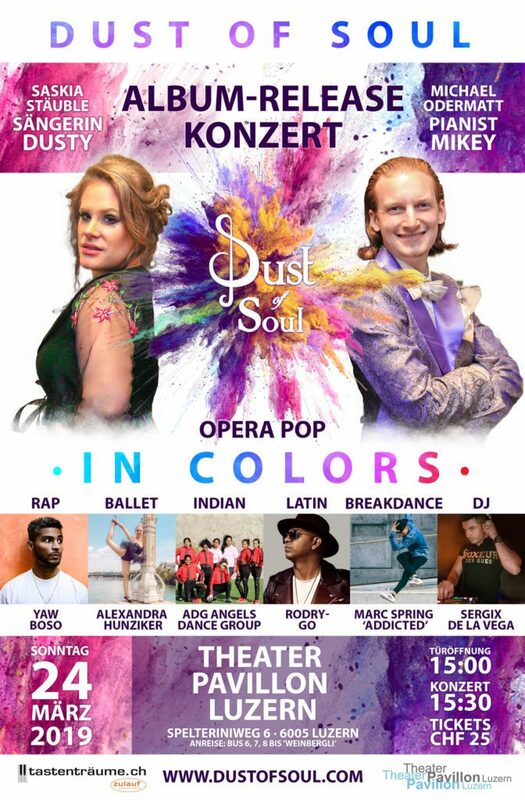 On March 24, 2019, Dust of Soul unveiling their long-awaited debut album “Dust of Soul in Colors” in a show with Indian dancers, Rapper, Latin-Star, Ballet & Breakdance at the Theater Pavillon Lucerne. 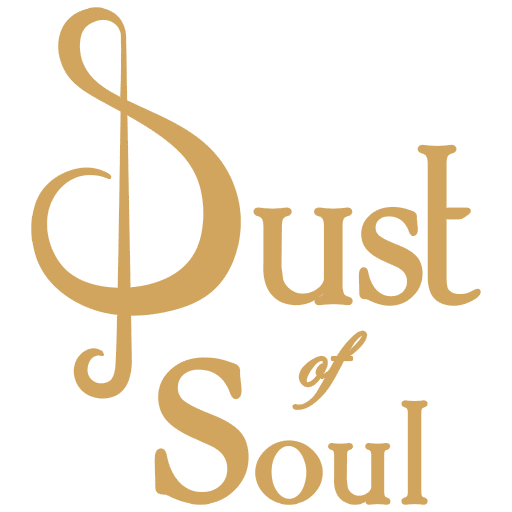 Dust of Soul shows up in 2019 in all colors. Fittingly their new album they name “Dust of Soul In Colors”. 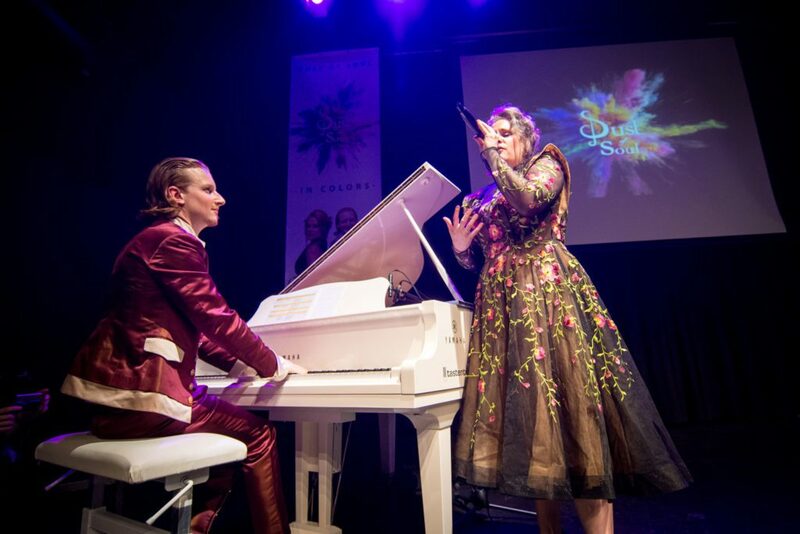 After 110 successful live concerts around the world, the ‘Opera Pop’ duo dares to mix a variety of styles. 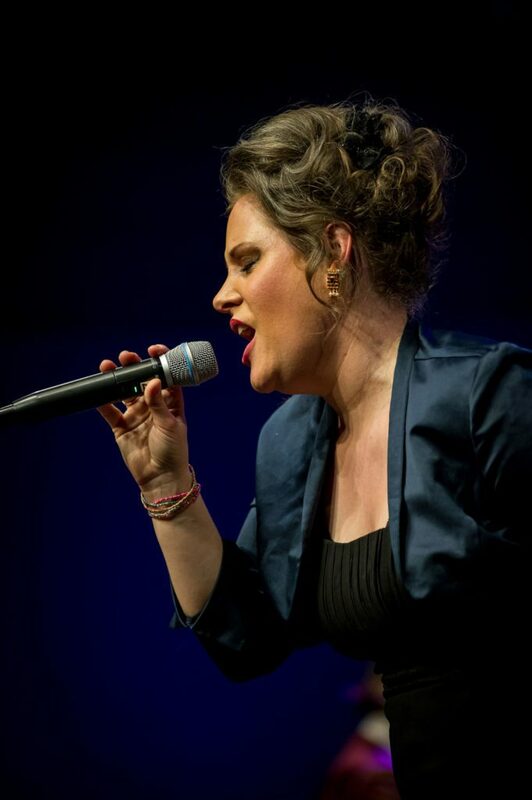 Dust of Soul is known for the multi-faceted, strong voice of Swiss Singer Saskia Stäuble, known as ‘Dusty’, and the touching and thrilling piano-playing of Swiss Pianist Michael Odermatt, known as ‘MiKey’. The past six years they toured in the United States, in France, Italy, Germany, Tunisia, Turkey, Oman and Switzerland. 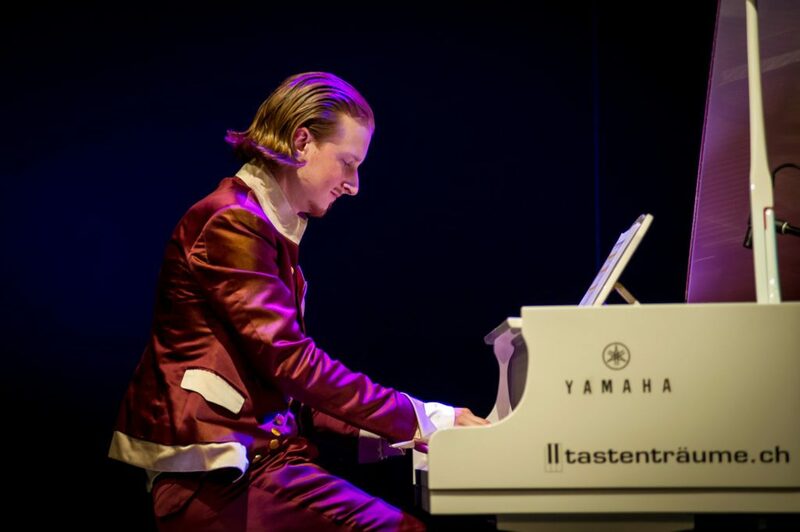 The musicians bring a lot of experience and inspiration into the new songs. One can feel exotic influences – Indian instruments like the sitar, djembe, and tabla. Their opening act appearance in October 2017 on the MTV India Ayushmann Khurrana show at City Amphitheater Qurum in Muscat and the cooperation with Indian musicians in Oman is the reason for that. 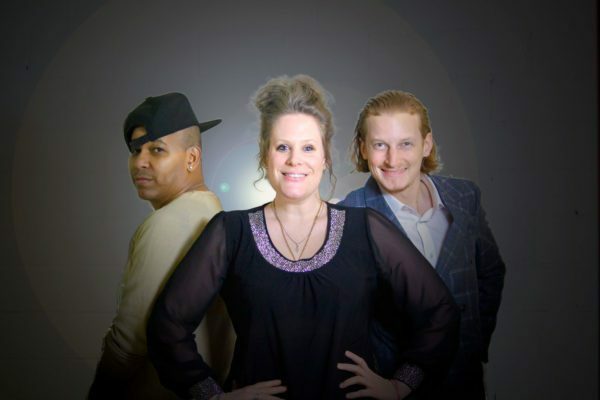 Further speak the Latin American rhythms in the featuring with Rodry-Go of Spanish flair that the duo loves. 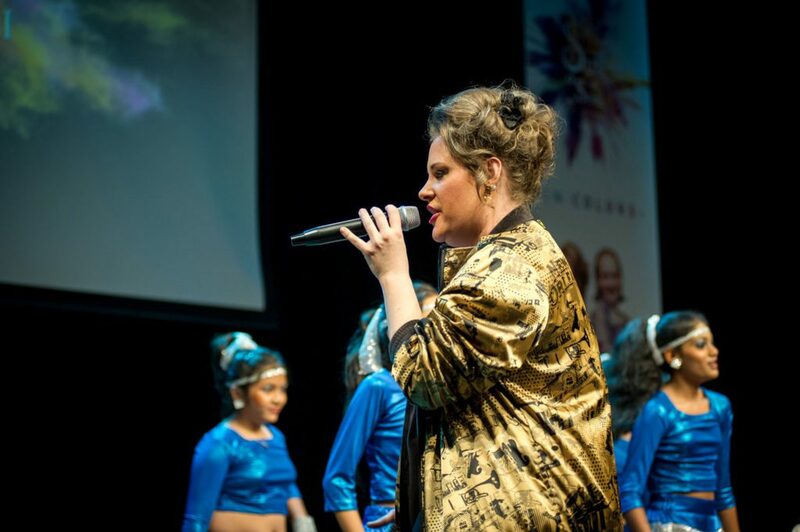 Other songs are based on powerful and motivating beats. 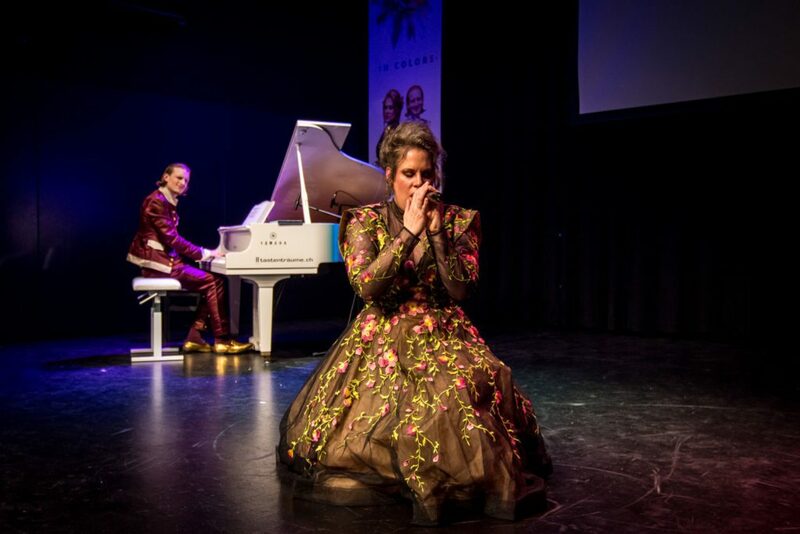 Those come from their creative work and many performances in New York in 2012 and 2013. So the featuring with rapper Yaw Boso was a homage to those times. A blues and a ballad take the listener to the depths behind the facades. And their hit song in Tunisia “Believe” closes the circle with a touch of film music resembling to that one from the Walt Disney musical “Lion King”. 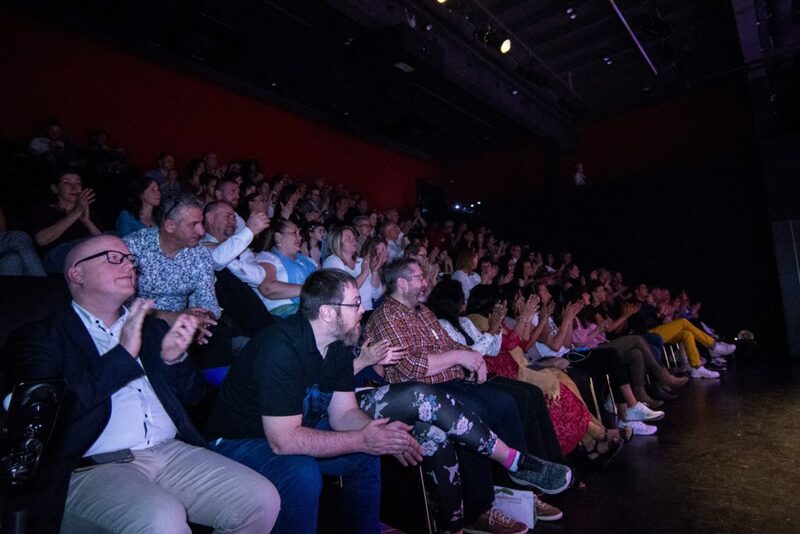 The show at the Theater Pavillon Lucerne had to express all of that, according to Dust of Soul’s claim. 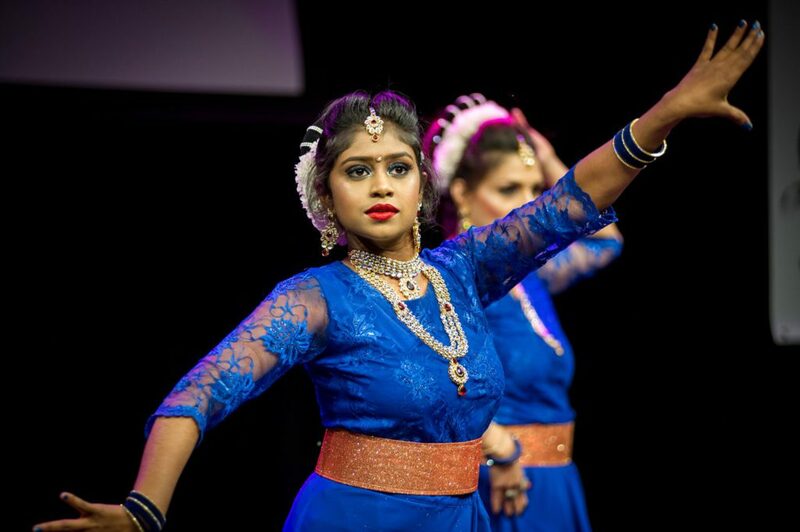 There were nine Indian dancers from Oman in Switzerland: Only for the show 7 children and 1 adult dancers and dance choreographer Dhanlaxmi Wilson Das from the “ADG Angels Dance Group” took on the almost 7000 kilometre-journey from Muscat to Lucerne exclusively to dance at the Dust of Soul show. 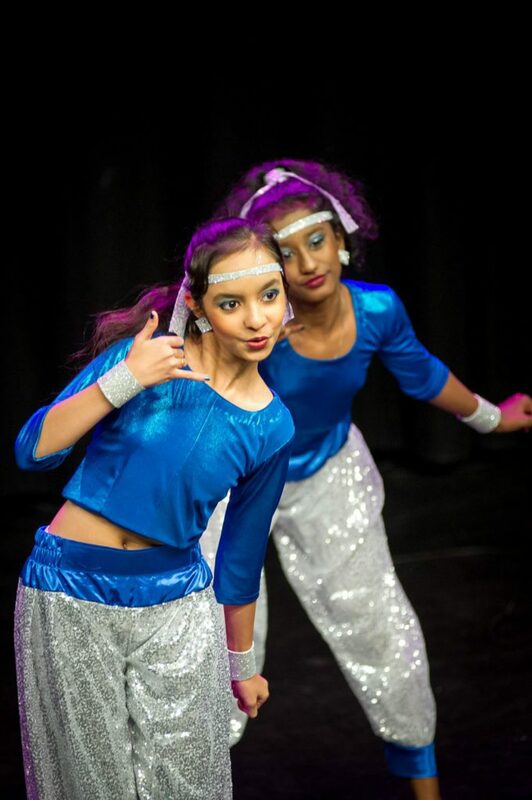 The Indian dance group opened the show and and delivered brilliant performances at three new songs of the Swiss duo. 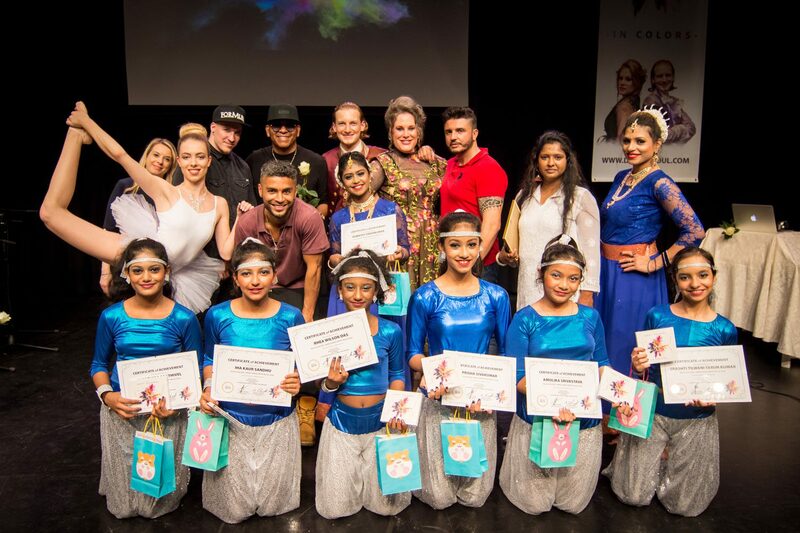 For the Indian-Swiss title song “Flow”, Swiss classical ballet dancer Alexandra Hunziker and Swiss breakdance dancer Marc ‘Addicted’ Spring joined the dance group. 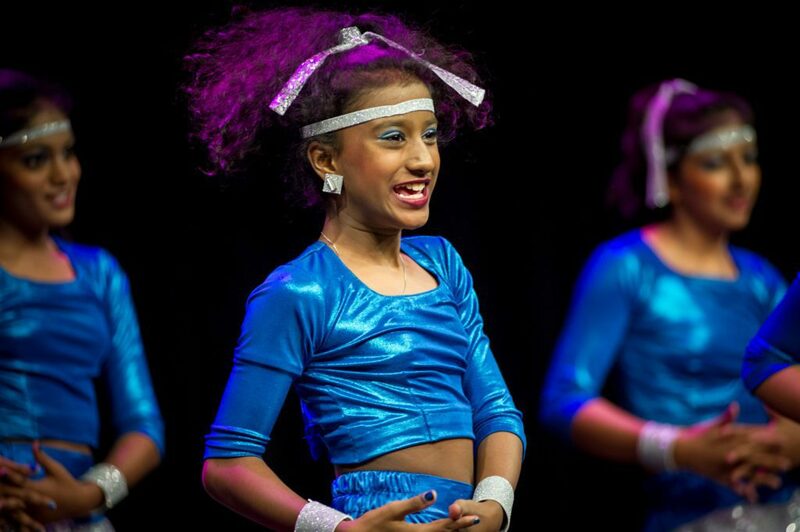 The Latin number “Unstoppable” with Columbian Superstar Rodry-Go was the finale, to which all musicians and dancers gathered on stage to celebrate their “unstoppable future” and the power of music, dance, and arts. 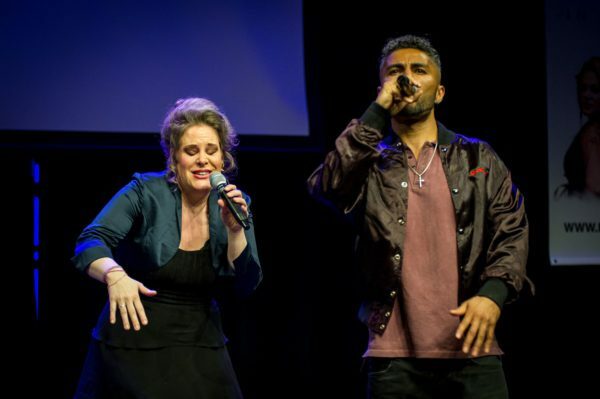 The album was officially unveiled during the show and was thereafter available for purchase. It is now available to be ordered in the Dust of Soul Online Shop. Digitally the new album “Dust of Soul In Colors” is available in all music stores: iTunes, Spotify, Google Play, Amazon, iGroove, Deezer, Apple Music, Tidal, Napster, and YouTube Music. There the album can be previewed, bought, and streamed.